Best park ever! My personal favorite and would recommend it above universal studios. The Harry Potter world is AMAZING! If you visit you MUST stay for the light show at night time, truly magical! I also recommend the Spider-Man ride, the reign of Kong & Jurassic world. I highly recommend that you get the express pass, it’s so worth the money you pay for. Truly an awesome experience. Had a great time, went for my birthday/Labor Day weekend! Of course there were crowds however, the fast pass was worth the extra spend. From 1 pm to closing we waited in zero lines! As always, The Hulk was our #1. First time experiencing, Poseidon, wow! Was not at all what we were expecting and it blew us away. Talented actress & great effects! This park is awesome. Safe, clean and fun! We spent a day at the park and everything about this place from the parking lot attendants, to the ride operators, the ticket sellers was outstanding. We were afraid that Islands of Adventure would be too 'Young' for the 12-13 year old crowd, but they had a lot of fun. Us adults did too! Everything about this park is about attention to detail. We rode just about everything on a Sunday, which to me seemed like the least busiest day. Never felt unsafe for the girls to Explore around and 'do their own thing'. There is security cameras everywhere in the park. Take advantage of the 'free hour for lockers for rides that go upside down like Hulk, etc. Great time at the park! Can't wait to go back. Every day, we help thousands of travelers plan great vacations. Here are some tips on how to use your Listing Page to attract more travelers to your business - Universal's Islands of Adventure. Promote your permanent link - https://www.inspirock.com/united-states/orlando/universals-islands-of-adventure-a49831399 - on your website, your blog, and social media. 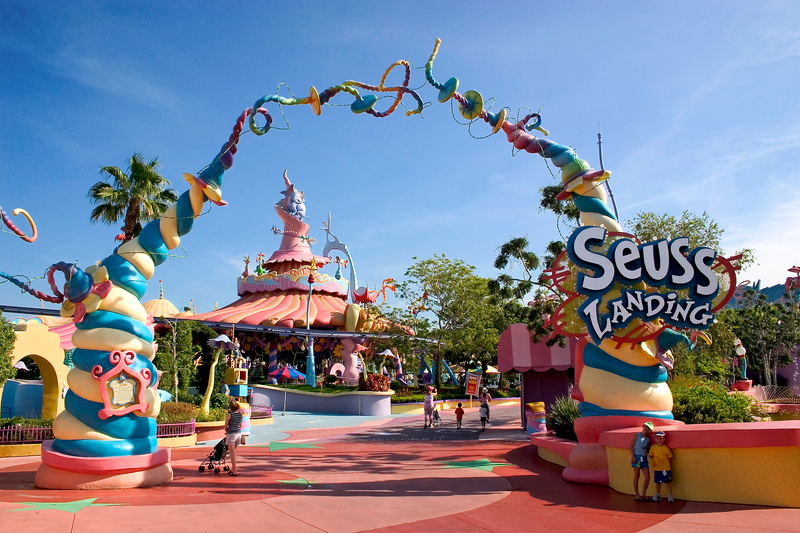 When a traveler builds a plan from this page, the itinerary automatically includes Universal's Islands of Adventure. This is a great way for travelers looking for a great vacation in your city or country to also experience Universal's Islands of Adventure. Promoting your link also lets your audience know that you are featured on a rapidly growing travel site. In addition, the more this page is used, the more we will promote Universal's Islands of Adventure to other Inspirock users. For best results, use the customized Trip Planning Widget for Universal's Islands of Adventure on your website. It has all the advantages mentioned above, plus users to your site can conveniently access it directly on your site. Visitors to your site will appreciate you offering them help with planning their vacation. Setting this up takes just a few minutes - Click here for instructions.